Where the Limia River arrives at the Atlantic Ocean, Viana do Castelo is a lovely historic city. In the old town, especially at Praça da República, there’s 16th-century Manueline and Renaissance architecture to win your heart. Behind the city looms the Monte de Santa Luiza, which can be reached by the longest funicular railway in Portugal. At the top is a majestic basilica, as well as an Iron Age “castro” and panoramas to die for. Beachgoers have all they could wish for at Praia de Cabedelo, a gigantic, untouched bay with golden sands, traced by dunes and washed by rolling waves. This long square in the centre of the old town is somewhere you’ll returning, whether on a sightseeing tour or just to take the weight off for a few minutes with a shot of coffee or cold beer. It is totally pedestrianised, and has many centuries-old buildings. 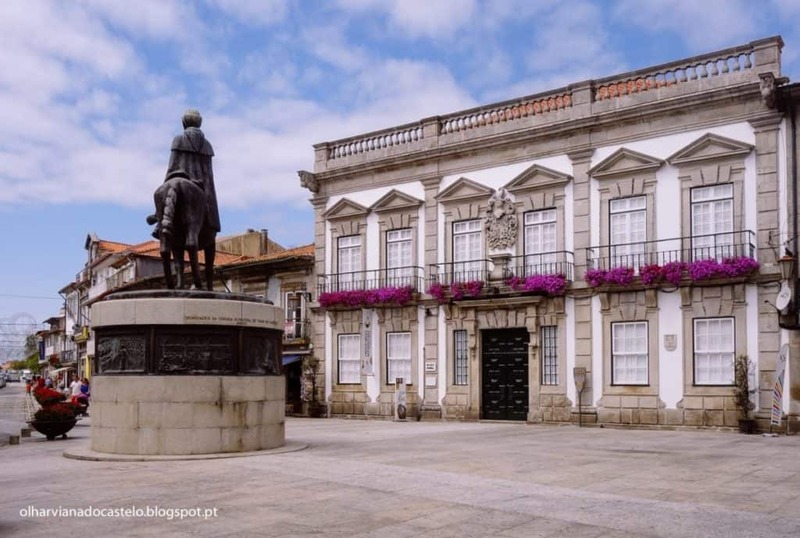 You’ll be drawn towards the old city hall, built in the 16th century: This granite building has an arcade on its lower floor and is capped with merlons, while just above the central window is Viana do Castelo’s coat of arms. A few steps back from the old city hall is the square’s wonderful Renaissance fountain, also made from granite in the 1550s. João Lopes, the same Renaissance craftsman who sculpted the fountain also worked on the facade of the church and the hospital complex in front of it. It’s a sight to savour from the steps of the fountain, with a Venetian arcade and a two-storey loggia. The quantity of sculpture will keep you rapt for a few minutes, whether it’s the sundial, the caryatid pillars on the loggia or the extravagant portal to the right of the arcade. The church inside is Baroque from 1714, and is equally astounding thanks to its marvellous 18th-century azulejos conveying bible scenes, all the way up the walls and on the vault. This vessel in Viana do Castelo’s commercial docks was launched in 1955 and as the flagship of the “White Fleet” is a compelling memorial to the Estado Novo regime. The Gil Eannes was a hospital ship that would set sail for the Ocean off Newfoundland and Greenland, and support the trawlers fishing those waters for cod. A lot of the original medical equipment on board, like x-ray machines and the operating room, set close to the hull to minimise sway. In its 20 years in service the Gil Eannes was also used for breaking ice, transporting mail and as a tugboat. Rising just north of the old town is the Monte de Santa Luzia, which at the turn of the 20th century was crowned with a sanctuary inspired by the Sacré-Cœur in Paris. This took a few decades to complete and was designed in Eclecticist style, mixing Neo-Gothic and Byzantine styles. 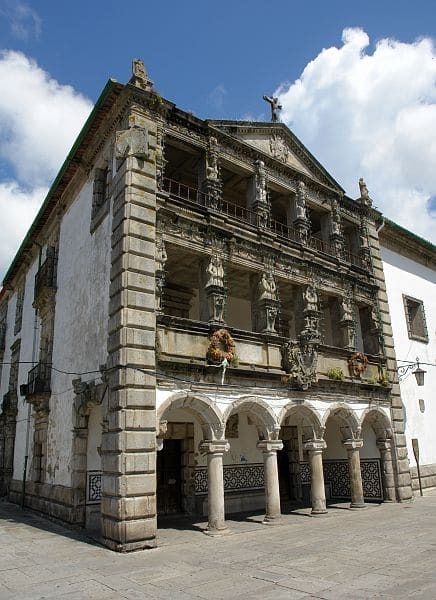 The rose windows on this building are the largest on the Iberian Peninsula, and leading craftsmen were brought in to work on the frescos, sculpture and altar, sculpted from Vila Viçosa marble. The scenery from the dome(and the platform below) will leave you lost for words, presenting Viana do Castelo’s old town, the Atlantic, the River Limia and pine-topped hillscapes in three directions. The most enjoyable way to get to the sanctuary and viewpoint on Santa Luzia is to take the “elevador”. This has been in place since 1923 and at 650 metres is the longest in Portugal, more than twice the length of its nearest rival in Nazaré. At 160 metres the climb is also larger than any other in the country, no mean feat given the array of funiculars in Lisbon for instance. The journey to the top takes seven minutes, and the last journey in summer is at 20:00. 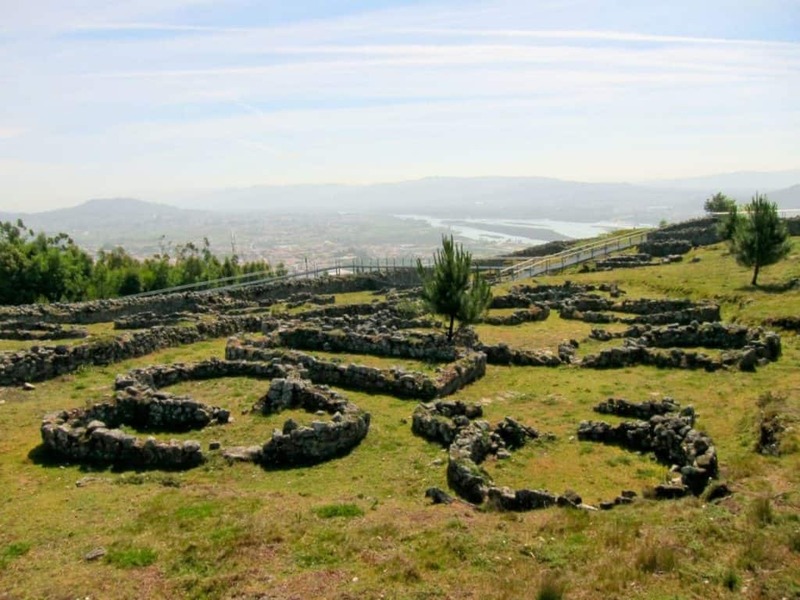 A quick stroll from the sanctuary atop Monte de Santa Luzia is an Iron Age fortified settlement inhabited from the 7th century BC up to Roman times. From this lofty perch it would have commanded the Limia Estuary and had a privileged vantage point for miles around. People had known about this lost town for hundreds of years before excavations started at the end of the 19th century. Today only one third of this vast site has been uncovered. Via a boardwalk you’ll traverse this ancient citadel and marvel at the technical skill that went into building the dry stone walls for the perfect circular houses. 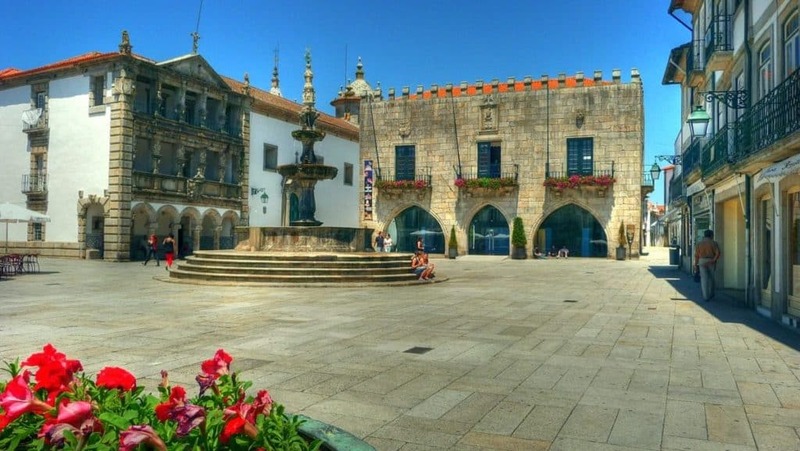 The centre of Viana do Castelo is a trove of exquisite architecture. There are Manueline, Renaissance and Baroque facades at Praça da República, and on the parallel streets down to the riverside. These all have whitewashed walls, with portals and windows sculpted from granite, while some will be covered with geometric tiles. Outside the old town there are also plenty of noteworthy 20th-century buildings: Avenida dos Combatentes da Grande Guerra has Art Deco houses and amenities from the 1920s and 1930s. For avant-garde architecture, check out Praça da Liberdade, designed by Fernando Távora, and the municipal library by Álvaro Siza Vieira. In the summer months there’s a ferry across the Limia Estuary to this heavenly beach. The Praia do Cabedelo is absolutely immense, curling out in to the distance with no sign of development beside a few huts. Even though the river’s width from the city you’ll feel like you’re in the middle of nowhere. The beach is on the edge of a nature reserve, with dunes and pine scrub in a delicate ecosystem that can be seen from a boardwalk but is cordoned off to protect the plants. The beach shelves very gently, so even though there are rolling waves there’s a big shallow area that kids can play in quite safely. 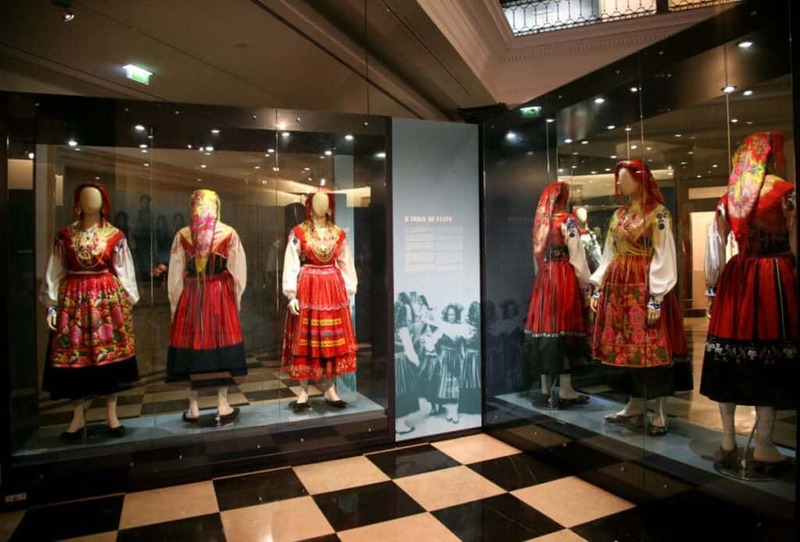 In stylish modern galleries, this museum tells the story of traditional dress in this part of the Norte region. There are items spanning hundreds of years, but the era in focus is the 19th century. At this time ceremonial clothing for young women was colourful and loaded with gold filigree, and the museum will help you decipher the code that each piece of clothing would communicate (age, marital status and so on). There are also costumes worn by farmers, fishers and the workers who used to cultivate seaweed along Viana do Castelo’s beaches. Get up close to the showcases to see the precision in the embroidery. With a military appearance, Viana do Castelo’s cathedral is both Gothic and Romanesque. The facade is from the 15th century when the two square towers were crowned with crenellations. Also from this time is the carving that you can see on the archivolts with images from the Passion and apostles beside the doorway. This indicates the influence of Galician architecture, as this doorway is almost identical to the one at Tui Cathedral across the border. The chapels inside are decorated in the Manueline and Renaissance styles and merit a quick peek. Viana do Castelo’s municipal museum is housed in two connected buildings. The older part fronts the Largo de São Domingos and is an 18th-century palace for the powerful Teixeira Barbosa Maciel family. You can spot their coat of arms on the facade, and interiors are a joy with azulejos lining the walls. 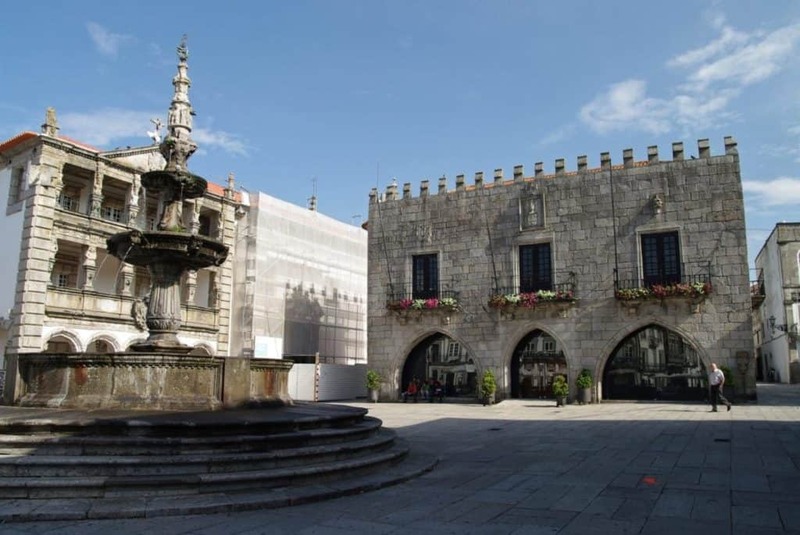 The galleries will acquaint you with Viana do Castelo’s time-honoured faience industry, and contain the largest ceramics collection in Portugal. Much of this was made at workshops in the city, or at the factory in Meadela. There’s furniture, painting and Iron Age artefacts from the citadel at Santa Luzia. 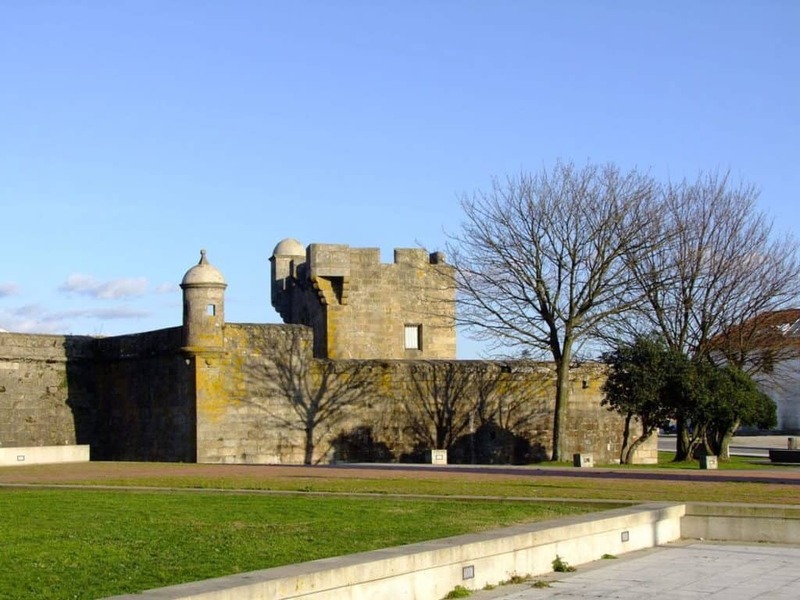 In Viana do Castelo’s commercial docks is a 16th-century fortress, guarding the anchorage in the Limia Estuary and what used to be one of Portugal’s major seaports. This building replaced an earlier fort, and in the last decades of the 1500s was equipped with all of the elements developed to counter artillery. The walls have a trapezoidal outline on a pentagonal plan, with bartizans at the angle of the bastions. The fort isn’t bursting with interest, but it’s a sight to keep in mind: To enter you have to cross the dry moat and pass through a vaulted tunnel, and from the walls you can contemplate the Limia Estuary or the Hill of Santa Luzia. At an adorable Baroque chapel near the port is a shrine for the Virgin of Agony erected in 1674 for fishermen praying for good luck on their voyages. The feast day for this patron saint is August 20, the day of a procession down to the water. Over the centuries this celebration evolved into the unrestrained festivities that happen today. The festival runs from the 17th to the 20th and involvesparades with giant ceremonial puppets (gigantones & cabeçudos), thousands of participants and scores of floats. There’s also a costume party, fireworks and a programme of folk music recitals. 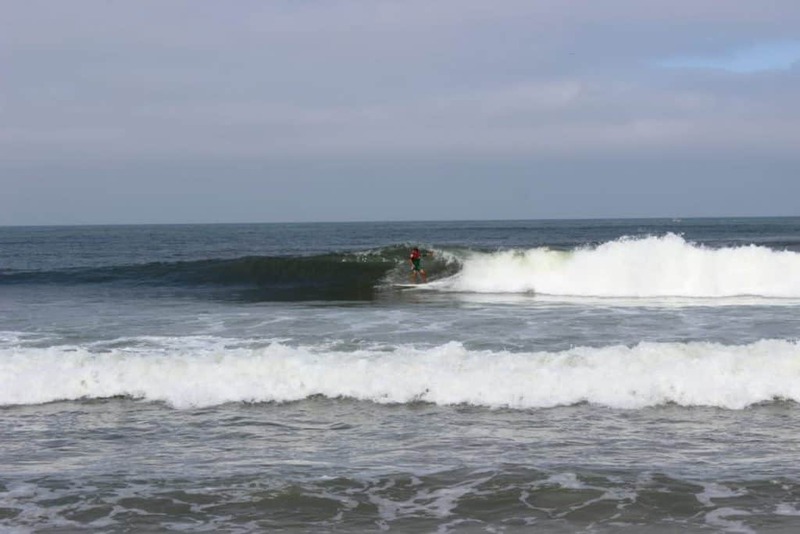 Tucked behind Praia do Cabedelo are a few companies helping you get the best out of the beach’s rolling surf and steady ocean breezes, picking from regular surfing, bodyboarding, windsurfing and kitesurfing. The beach is so exposed that the last two can be done at almost any time of year. Even if you come for a walk in winter there will be kites dancing in the air all along the beach. In summer Praia do Cabedelo is spacious enough that surfers and swimmers won’t need to fight for room. Every harbour town on the Norte region’s coast has its own ways of preparing fish and seafood. 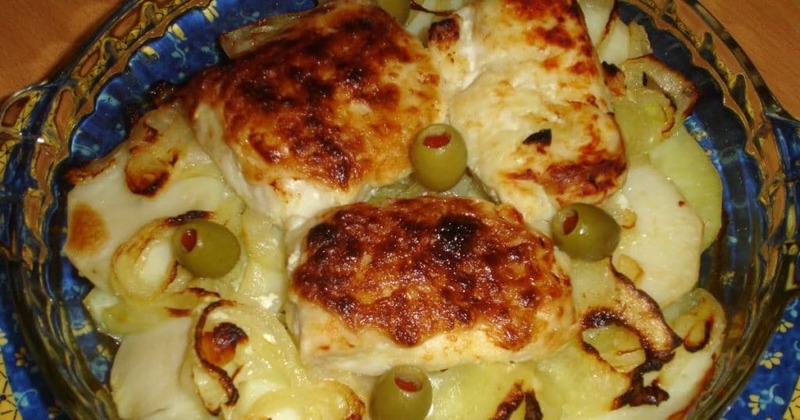 In Viana do Castelo there’s pescada à Vianense, which is cod, hake or other whitefish seasoned with lemon juice and garlic, then baked with sliced potatoes and garnished with sautéed garlic and onions. The Minho Province here in the far northwest of the country is the birthplace of caldo verde, the famous Portuguese vegetable soup made with kale and potatoes. It’s a fine vegetarian option but can also come with cured meats like chouriço, linguiça or paio.